This week on Handmade Men we’re chatting with Brian from Simple Leather Company. 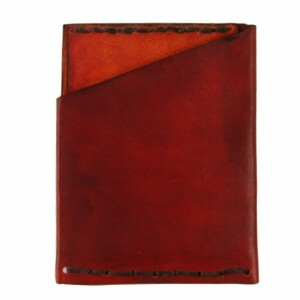 This amazing online shop offers up a huge selection of completely handmade wallets made form the finest materials. Wallets are a mainstay for most men, so choosing the right one can add burden or simplicity. The one-of-a-kind men’s handmade wallets available from Simple Leather Co. go above and beyond in making personal organization simple and stylish. Enjoy! Life is complicated enough, so I make things simpler. My products are designed to be slim, beautiful, and to last for years. 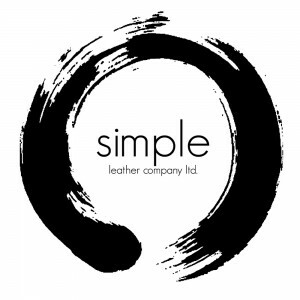 All of Simple Leather Company’s products are made in the USA but are available around the world. We use the highest grade cowhide leather we can find and tool it with years of expertise to deliver some of the highest quality leather products available. I make the wallets, take the orders, and do all of the marketing. I have previous experience with other start-up companies making handmade products, and decided that the world could certainly appreciate and support more human-crafted goods that embody sincerity in their construction. 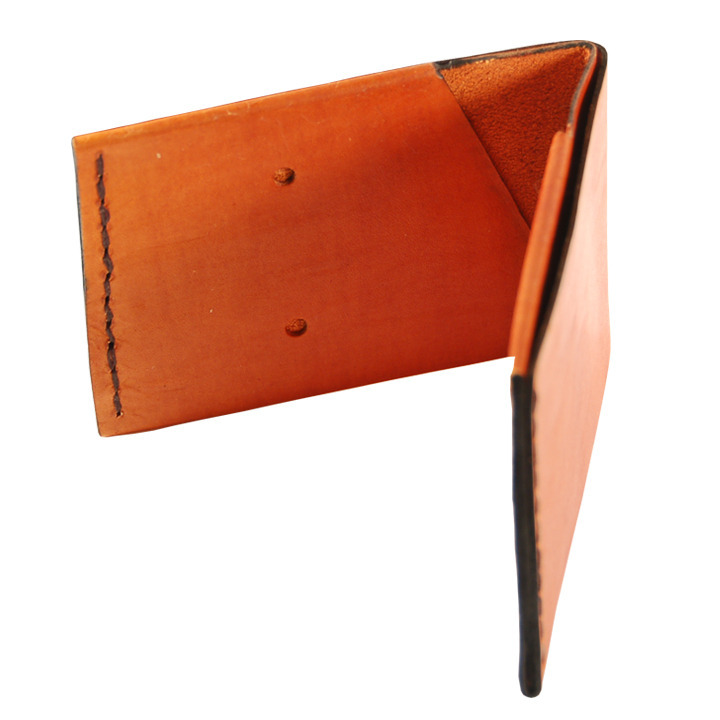 What got you started on working with the materials and designs you use for Simple Leather Co.? I’ve always been obsessed with finding the perfect clothes, shoes, and accessories. The trouble is, I would just make up what I wanted and could never really find anything that fit my specifications. For the last 15 years I’ve been learning various crafts, leather working included, in order to make exactly what I was looking for. I became particularly interested in leather as it was quite forgiving in regards to mistakes and can be formed to virtually any shape. The wallets are both constructed with a single piece of dyed leather, cut for accessibility and stitched only twice. I try my hardest to make things as simple as possible, so eliminating seams is priority #1. The less seams you have, the longer any product will last. This is true with literally any trade/craft you can think of; plumbing, electricity, welding, sewing, etc. 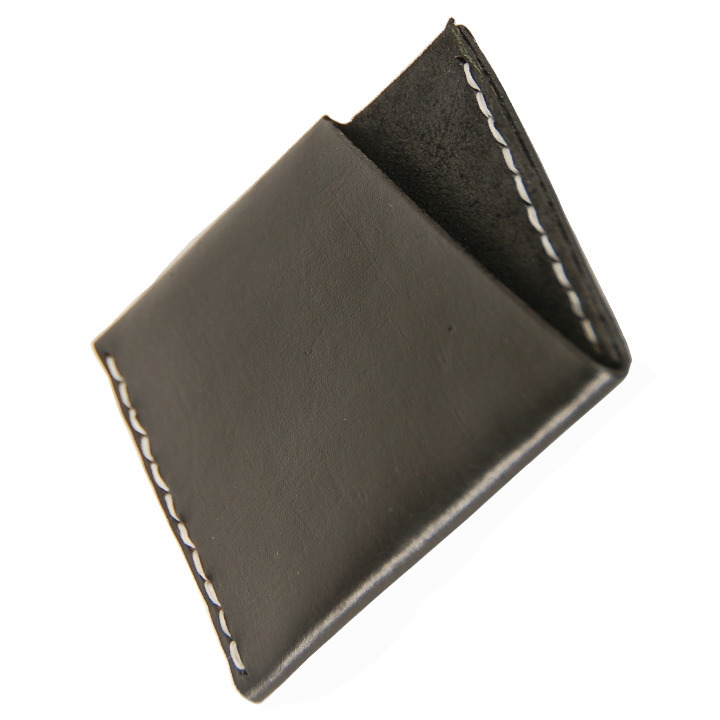 This is a classic Bi-fold wallet with two pockets and one billfold that will fit any currency. 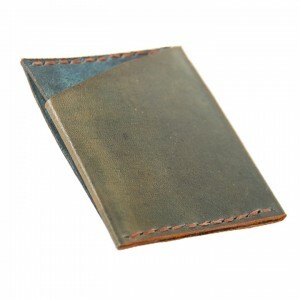 Its designed to hold up to 20-25 cards and saddle-stitched together with waxed linen for an incredibly durable seam. This design is basically a halved Simple Leather wallet, re-scaled for just cards and folded Money. 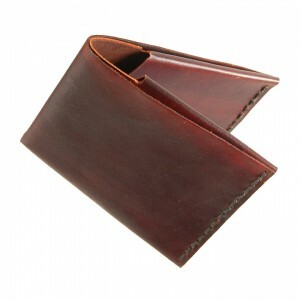 These wallets can host around 10 cards and some folded cash in the side pocket. These are really great in that you can put them in your front shirt pocket or in the front pocket of about any pants without disrupting the natural lines of your clothes. Leave the bulges for the things we can’t resize. Why do you think handmade and one-of-a-kind items are such a great choice for guys? Handmade is great option for pretty much anything except for cash and toilet paper. For men, specifically being able to choose exactly what you want to look like has been rather hard until recent years. We had to settle for baggy pants, ill-fitting suits, and cumbersome accessories if we didn’t want to throw down our life savings to look good. 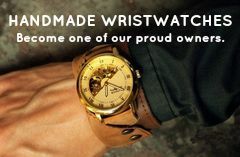 Guys should support handmade because it breeds competition, and with competition we get choice at a reasonable price. The more people buy handmade for the men on their lists, the wider the possibilities become for men’s style. This is great for design, small business and the amount of attention men receive from interested parties. With these qualities, handmade is extremely hard to argue against. Click the image below to see the entire selection of men’s handmade wallets available from Simple Leather Co. right now… and keep your eyes open for their upcoming men’s belt designs! Tagged Simple Leather Co., Wallets. Bookmark the permalink.